Some airlines have a hard time apologizing for committing disastrous errors, even in the face of daunting pressure and overwhelming public outcry. But in the case of Ryanair, a budget European carrier that recently cancelled thousands of flights due to a pilot shortage, the airline is offering a mea culpa in the form of a tantalizing deal: 1 million one-way tickets for flights within Europe for as low as $10. Ryanair's blunder was almost comical: too many of the airline's pilots had scheduled vacation at the same time, forcing the carrier to cancel 2,100 flights amid the dearth of aviators. The snafu reportedly affected some 310,000 passengers, who were left scrambling to find quick alternative routes once their travel plans evaporated, and cost the company $30 million. Vacationing pilots couldn't be summoned back to the cockpit either, despite the airline offering them an extra $14,220 in bonuses to suspend their holiday plans until next year. To amend the damage, Ryanair is doing the right thing by offering one-way flights from the United Kingdom for cheaper than a sandwich at Pret A Manger. The fares, which are available for flights departing from October through February, don't include fees for baggage, but the airline is waving its usual $17.50 tax charged for bookings. 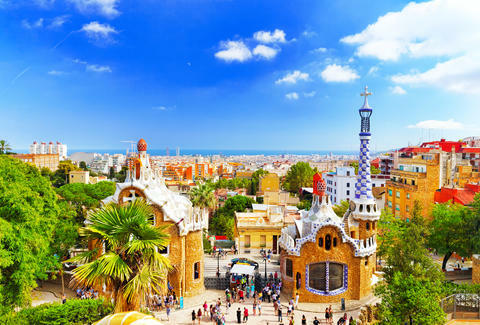 Flight options include London to Strasbourg, France for £7.99 (about $10), London to Barcelona, Spain for £14.99 (about $20), and Edinburgh to Milan, Italy for £14.99 (about $20), among many others. However, you'll still need to get from the United States to one of the origin cities in the UK before you can take advantage of the stupidly low prices, which could set you back a bit more. But given that $200 flights across the pond are fast becoming an industry standard, you could potentially see yourself traversing much of the European continent for the price of a movie ticket if you manage to get there. That sounds like a worthwhile apology if you ask us.